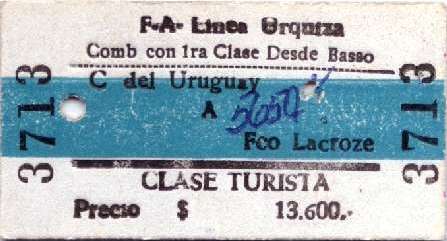 Algunos ejemplos de boletos que combinan más de una clase dentro del trayecto previsto. 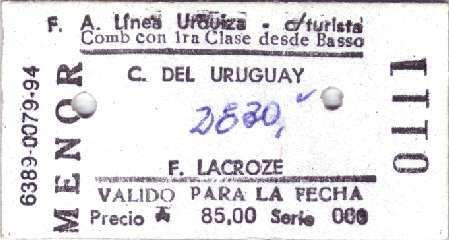 Curiosamente dos de ellos  , si bien muestran distintas clases, no involucraban cambio de tren ni de coche alguno, sino que el cambio de clases obedecía a razones puramente administrativas: en una parte del trayecto el tren cubría el servicio suburbano (clase única) y en otra el mismo tren cubría un servicio de larga distancia (clase turista). 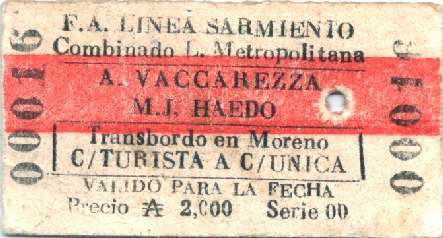 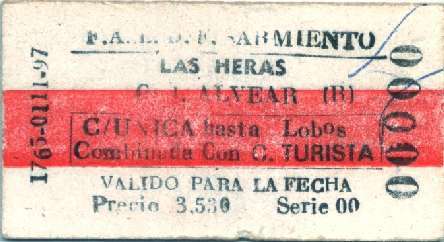 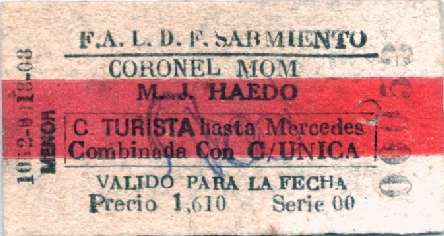 Some examples of tickets that involve the use of more than one class within the shown trip. 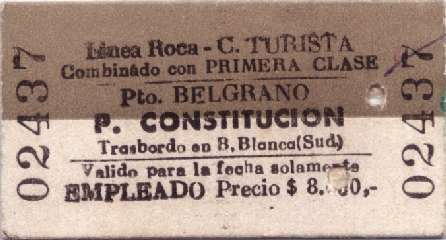 Curiously, two of them  , although show two classes -'tourist class' and 'unique class'-, did not imply any change of train or car at any intermediate station. 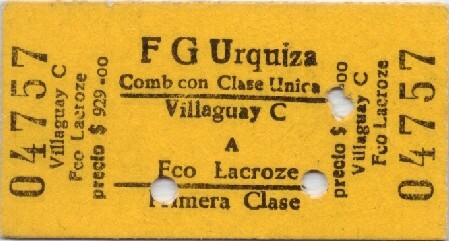 The change of class was due only to administrative reasons: in some part of the trip the train covered a suburban service, where only 'unique class' existed, and in the rest of the trip the same train covered a long distance service, where 'tourist class', characterized by different rates, applied.